Dec 21, 2016 (LBO) – Asia’s spending on growth-boosting infrastructure is set to get a tailwind from development financing while the safeguard systems used by the Asian Development Bank (ADB) and other development banks as conditions for their loans are under international scrutiny. More financing for infrastructure is becoming available from established and new lenders for development, and borrowing countries are pushing to have their country safeguard systems used on projects supported by multilateral development banks, the ADB said issuing a statement. A just-released ADB independent evaluation report calls attention to the importance of strong safeguards to deflect damage to the environment and communities that can be caused by projects. The report evaluates ADB’s safeguards on the environment and the involuntary resettlement of people and their assets and livelihood sources in the way of infrastructure projects in Indonesia, the Kyrgyz Republic, and Sri Lanka. “Narrowing wide infrastructure gaps will be vital for Asia to secure strong and sustained growth.” says Marvin Taylor-Dormond, director general of Independent Evaluation at ADB. These countries were chosen because they were around the median for the environmental and involuntary resettlement sensitivity of their roads, energy and water projects, and their experiences shed light on the wider application and enforcement of safeguards. “ADB and its client governments have made significant progress in assessing the environmental and social risks of development projects and in designing measures to mitigate them,” says the report’s main author Tomoo Ueda. The report found that few government agencies employed regular environmental specialists to enforce safeguards on ADB-financed projects, and that ADB’s specialists were over-stretched. Gaps, too, need addressing in the involuntary resettlement of people affected by new infrastructure, such as roads, on land owned by them. ADB’s safeguards policy requires the government to provide compensation for lost assets at replacement value, and special livelihood support for the poor to get them to national minimum living standards. Progress was made on the compensation side, but less evidence was found of governments providing livelihood support. The report examines the benefits and costs of implementing safeguards, an area that has received relatively little attention, in part because of a paucity of data. To gain a better understanding of this relationship, a benefit–cost analysis was done on sections of Sri Lanka’s National Highway Sector Project of which a section passed through the Tabbowa Wildlife Sanctuary. Safeguards included speed bumps, better road signs, reduced speed limits at known elephant crossings, and the relocation of electric fences. As well as reducing animal deaths on these roads, the environmental safeguards applied to the project resulted in tourism benefits. “The take-home message of the benefit–cost analysis is that safeguards create positive net value, and this increases with higher safeguard standards,” says Ueda. 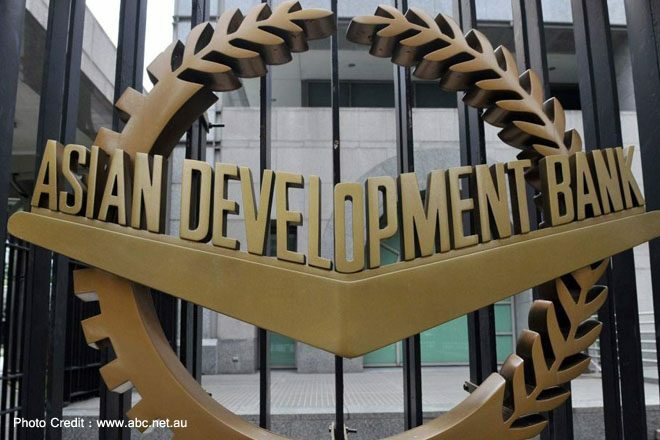 The report acknowledges the benefits of using country safeguard systems for ADB-financed projects instead of ADB’s safeguards, which include boosting country ownership and reducing transaction costs. However, it urges “strong caution” over use of country systems. The report stresses the importance of ensuring that country safeguard systems are able to address project risks in conformity with the standards of ADB’s safeguards, and it calls for a systematic and strategic approach on the part of ADB to facilitate the increased use of country systems. An assessment of Indonesia’s safeguards system—parallel to a request by the government to ADB to use its safeguards in ADB projects in roads, energy, water resources and urban planning—identified potential gaps in the country’s laws and agencies on involuntary resettlement with respect to the safeguards framework in force at ADB, especially in protecting the poor and vulnerable. The report recommends that ADB intensify its work with borrowing countries to strengthen their country safeguard systems, particularly at the level of local government, where implementation capacity often is weak. Pilots can be done of the use of country systems in ADB-supported projects in cases of more mature country systems and agencies with good capacity to implement their safeguards. Taylor-Dormond says that raising the standards of country safeguard systems will be crucial for ensuring that public and private sector infrastructure projects avoid or mitigate environmental and social risks in a region with a huge demand for infrastructure investments. This demand is estimated at $8 trillion for Asia’s developing economies in the decade to 2020. Increasingly, governments are seeking alternatives to public funding and looking to the private sector to help fill infrastructure gaps. “The stakes are too high for safeguard standards to slip at a time of rapidly unraveling development pressures across Asia; the response needs to be stronger safeguards not more flexible ones,” says Taylor-Dormond.